Cetaphil Baby Daily Lotion contains natural emollients such as Sunflower seed oil, Soybean oil and a blend of Shea butter and Glycerine to moisturise and protect your baby's delicate skin. This mineral oil free and hypoallergenic formula hydrates, softens and nourishes. 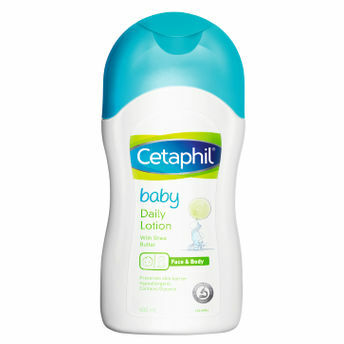 Cetaphil Baby is dedicated to expert care for your baby's delicate skin. Cetaphil Baby is Trusted by Doctors & Mothers globally. Explore the entire range of Lotions & Creams available on Nykaa. Shop more Cetaphil products here.You can browse through the complete world of Cetaphil Lotions & Creams .